If you would like to live a healthy life one of the main factors we have control over is following a healthy diet and so keeping a healthy weight. 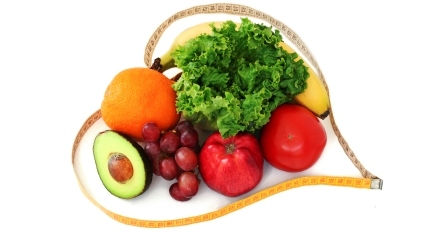 Healthy weight means that you are not overweight or underweight. Overweight increases risk of developing diabetes type 2, heart disease and some cancers. Underweight increases risk for bone disease, blood disorders amongst other conditions. Body Mass Index is a tool used to determine if you are over or underweight. Normal BMI is 18.5-24-9; Underweight is a BMI of less than 18.5 and overweight is a BMI of over 25. Balance is the most important part of eating healthy. You need to consume the right amount of calories for your daily activity to balance out what comes in with what you burn. If you eat more calories than you burn in a day, you will gain weight. If you eat fewer calories than you burn in a day, your body will burn stores and you will lose weight. Here are a few starting points to a balanced diet. Starchy foods include potatoes, cereal, rice, bread and pasta. These foods should make up about 30% of the food on your plate. Choose starches that contain fibre to keep you feeling full for longer. Eat potato with the skin or choose wholegrains such as brown rice, whole-wheat pasta and brown or rye bread. Fruit and vegetables are an important source of vitamins and minerals and reaching 5 portions per day can lower risk for developing heart disease, stroke and some cancers. One apple sized fruit counts as a portion and three table spoons of cooked vegetables count as a portion. Try adding a fruit in between meals as a snack; eat vegetable soup in winter or salads in summer. Chicken and meat are good sources of protein, iron, zinc and B vitamins. Choose lean cuts of meat and skinless chicken to reduce saturated fat that may contribute to weight gain and heart disease. Fish is another valuable source of protein and especially oily fish such as sardines, pilchards, salmon, trout and mackerel is a good source of omega 3. Omega 3 helps with cognitive development and prevention of heart disease. Aim for 2 portions of oily fish per week. Milk and dairy product are also a good source of protein and contains calcium that will help to keep your bones healthy. Choose lower fat dairy products such as low fat milk, low fat yogurt, ricotta cheese or cottage cheese. Sugar provides calories, but is of little nutritional value. When sugary foods are combined with fat they become especially high in calories such as in pastries and chocolate and can contribute to weight gain. Fizzy drinks easily add a lot of sugar to our diets, instead choose water or milk. These foods should be seen as treats to enjoy on special occasions only. 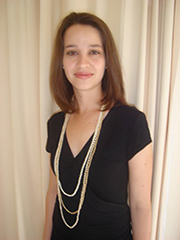 Inge van der Walt obtained her BSc degree in 2009 at the North West University (Potchefstroom). She completed her community service in Mpumalanga in a small state hospital, and started working in private practice in 2012 providing patient support for weight loss, gastrointestinal disorders and nutritional deficiencies. In 2013 she joined the team of dietitians at Wits Donald Gordon Medical Centre where she provides nutritional support to cancer patients undergoing treatment. Inge is also involved with the nutrition education of liver and kidney transplant patients to keep them healthy for transplantation. She is passionate about improving the quality of patient’s lives when going through difficult medical treatments.